One new formula polyether foam rubber surrounds. These last much longer than the original foam. I had a blown sub in my 2004 Lexus LX470 with the Mark Levinson system. I looked around for a replacement sub and couldn't find one to fit and was not going to pay Lexus $ 400.00 plus for a new replacement. You can't buy just the speaker and have to buy the entire sub unit. After I read the reviews on the speaker repair kit, I decided to give it a try. The kit shipped promptly and once I got it i went to the web site and watched the instructions to do the repair. It was simple! It took about two hours, but only because I was being super cautious. The actual work time was more like 30 minutes but the glue does have to dry. Anyway, I reinstalled the sub, buttoned everything up and it works perfect. When I was testing it out I was going heavy on the bass just to see if it would hold and it did just fine. It's so nice to have a stereo that doesn't drive you crazy with the awful crackle of a bad sub. After I ordered it I called back to order some speaker cover material. The people at Simply Speakers were awesome about it and managed to get both orders in the same box. And the speaker material was great also. I used the leftover glue from the repair kit on the speaker covers and it all went great. I highly recommend the speaker repair kit. Anyone can use this kit to fix a bad speaker. And the black speaker cover is a nice replacement for the drab beige that came with the car. Great products. Fit like a glove and brought the speaker back to life. It works! Love it! Thank you so very much! Works great! Fits 6" rear Subwoofer for Lexus LX470 w/ Mark Levinson. Directions are clear. To disassemble vehicle, found DIY video on Lexus Owners Club and Youtube. way more then enough glue. youtube video is a big help. I am looking at all my speakers to upgrade/repair. great value as compared to replacing speaker. We received the speaker repair kit promptly. It took a while to clean the old stuff off the speaker (a Toyota Lexus subwoofer [made my JBL]). When that was complete, the new speaker roll went on easily and we let it setup for 2 or so hours. We put it back in the car and presto, it sounded incredible! It's basically brand new. 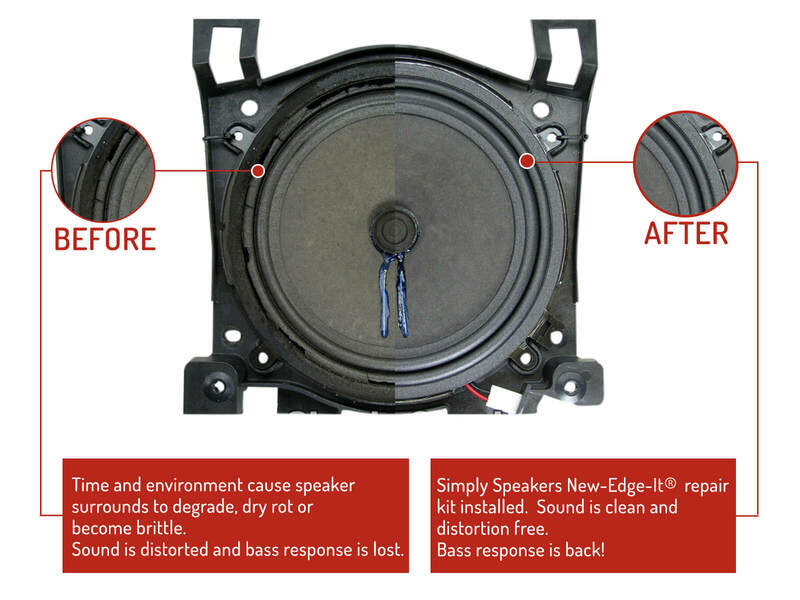 To replace this subwoofer from Toyota would have cost 550+ dollars! Thanks Simply Speakers! You have an EXCELLENT product. Well-designed and complete kit made it simple to get my '98 Land Cruiser's sub-woofer back to full bark. Excellent quality foam and fast-set adhesive. 20-year old speaker in a difficult to find size repaired better than new. Easy DIY. Installed this in my wife's 2002 LX470 with Mark Levinson system after she blew the sub. It sounds as good as new. If you blow your speaker you can unplug it through the ashtray in the side panel while the new seal is shipped. Q: Will this work for the subwoofer in a 2004 Lexus GX470 with the Mark Levinson sound system? A: Thank you! 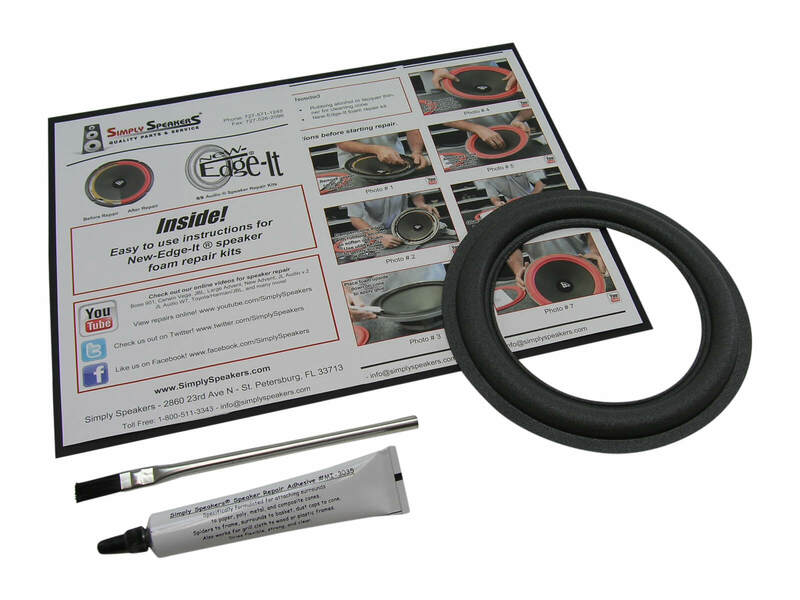 Yes, this repair kit fits your model sub woofer. Q: Does this replace the part # 86160-AC180? A: No. Please order kit # FSK-8M-Toyota for your model. Q: i have a 2003 land cruiser with a old JBL stock sub. I think the speaker is 5.75, will this one fit? How do i correctly measure the speaker so I order the right repair kit? A: This kit is the correct model for the 2003 Landcruiser subwoofer with the JBL system. 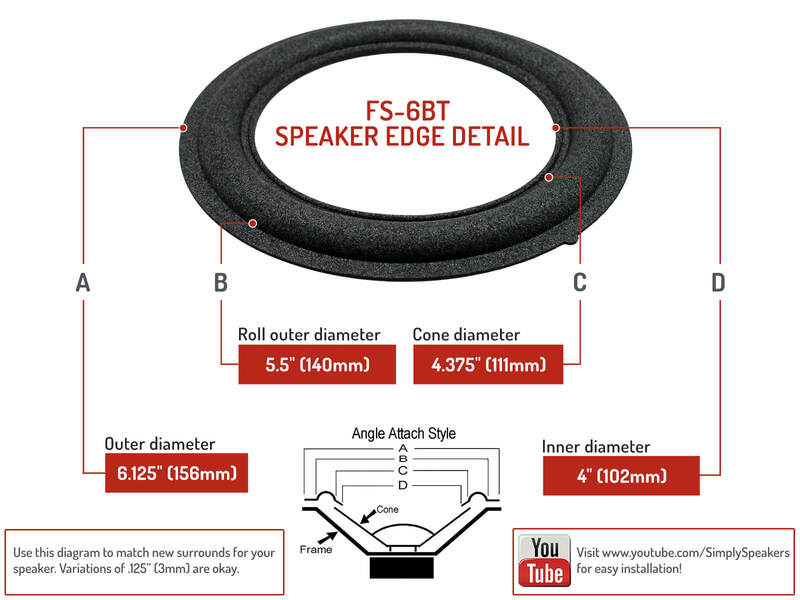 Speaker # 86160-0W340 Thanks! Q: Will this work for Lexus LX470 86150-0W010? A: Thank you. Yes, this is the correct kit for the 86150-0W010 subwoofer in your vehicle. JBL / Toyota: 86160-08110, 8616008110, 86160 08110, Sienna, 86160-0W340, 861600W340, 86160 0W340, Land Cruiser, LANDCRUISER, 86150-0W020, 86160-17051, 8616017051, 86160 17051, MR2, 6101, 6624, 6644, 6689 Lexus: 86150 0W010, 86150-0W010, 861500W010, 86160-0WA00, 861600WA00, 86160 0WA00, 86160-0W240, 861600W240, 86160 0W240, 86160 0W270, 86160-0W270, 861600W270, 86150-0W030, 861600W030, 86160 0W030, 86160-0WB10, 861600WB10, 86160 0WB10 IS250, IS350, IS F, LS-430, LS430, LS 430, GX-470, GX470, GX 470, LX-470, LX 470, LX470, 7817, and many more!